» Pro Rank Tracker Affiliate Program Review And What I Love About Affiliate Marketing. I just got a question from a customer on Legiit about what rank tracker he should use. I have been using Pro Rank Tracker to track my website rankings for around 4 years and have been perfectly happy with it… but I never really did much with the Pro Rank Tracker Affiliate program… or so I thought. 19 Signups, 170 clicks, and 19 signups for a total earnings of $260.80! And that’s the beauty of affiliate marketing… it is as close to passive income as you are ever going to get. What Makes The Pro Rank Tracker Affiliate Program Great? Well first of all, its a fantastic tool. Anyone that does SEO needs a way to track their rankings, it just comes with the territory if you want to have any idea how well your efforts are working. There are literally hundreds of rank tracking tools out there and every SEOs uncle has a different opinion on which one is best. Personally I like Pro Rank Tracker for a variety of reasons. Why is Pro Rank Tracker the best rank tracker for SEO? So as you can see Pro Rank Tracker is a robust SaaS for checking your rankings that has a long history. So what about the affiliate program? The best part about the Pro Rank Tracker Affiliate Program is that it has the holy grail of affiliate marketing… recurring commissions. That’s how I was able to earn “set it and forget it” money with PRT. They offer a 90 day affiliate cookie, which means if someone clicks through to PRT with your link that you will get credit if they buy any time in the following 90 days. 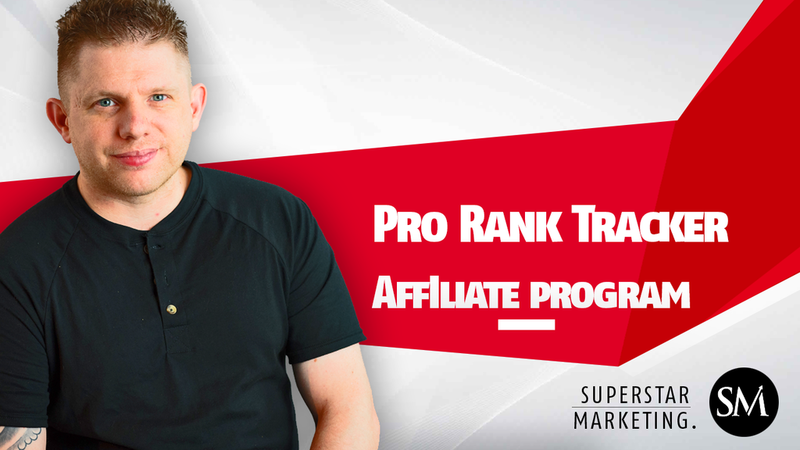 So between being an incredibly useful tool that you can easily justify people using, and having a very well structured affiliate program (which is unfortunately not always the case) Pro Rank Tracker is one of the best affiliate offers for anyone working in the SEO niche. If you wanted to give it a try they do have a free trial and if you use my affiliate link you will also get… the satisfaction of making me a few more dollars :-p (also a great tool with a great affiliate program. Not only did I get to offer a customer a great tool and provide them even more value, I got to be pleasantly surprised with some unexpected money I did zero work for (and didn’t even remember really doing) and I got to enjoy writing a blog post her on my affiliate marketing hobby blog at the end of a long, painful day (follow me on Instagram @superstarseo if you want to nkow what I am talking about). Thanks for checking this out be sure to check back often for more affiliate marketing goodness. Previous Post How To Rank A Video By Pushing 1 Button Next Post Pro Rank Tracker Affiliate Program Review And What I Love About Affiliate Marketing.